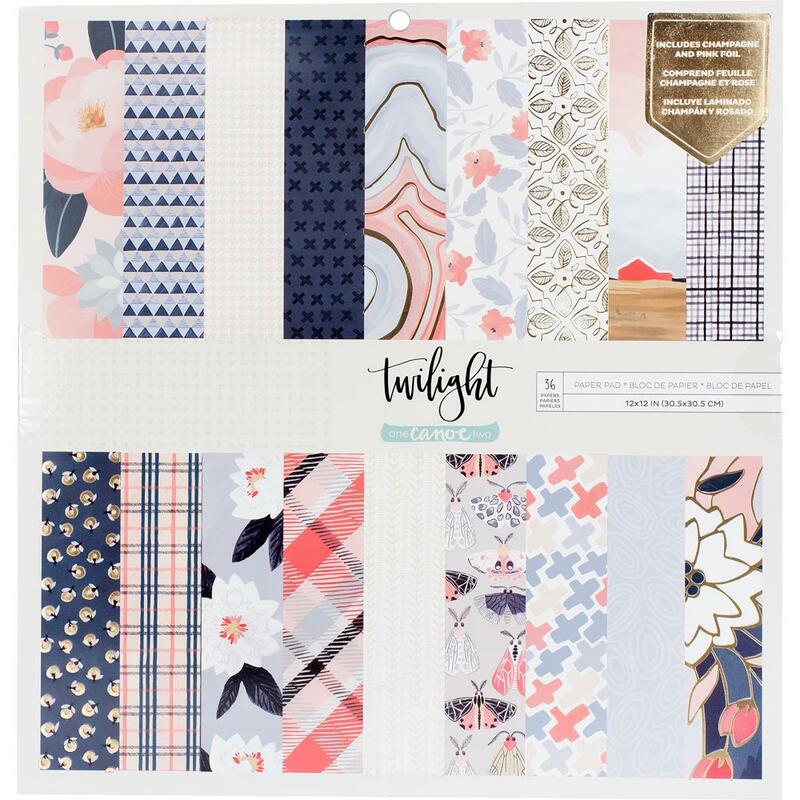 This 12x12 Twilight Paper Pad has thirty-six (36) Patterned Papers. Included are eighteen (18) Foiled Papers and eighteen (18) Patterned Papers. All the papers are 'single-sided' and selected papers have two (2) sheets of the design while others there are only one (1) sheet. Part of the Twilight Collection by One Canoe Two / American Crafts. Look for coordinating Embellishments and Individual Designer Papers.